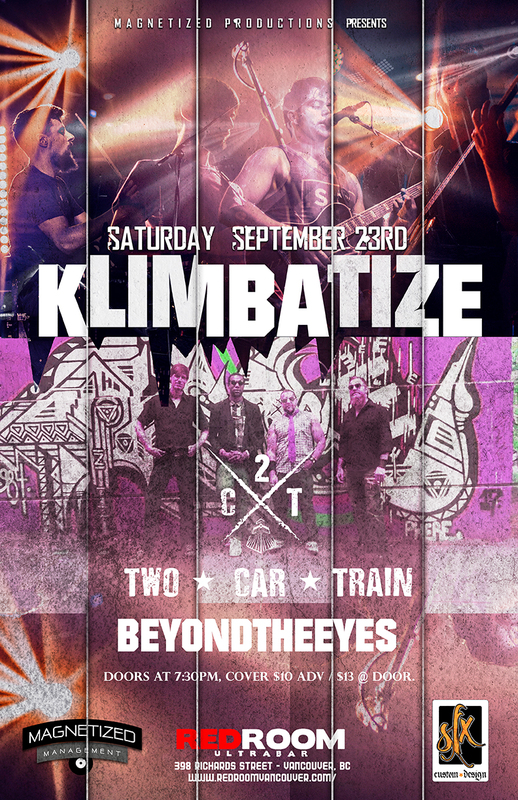 Magnetized Productions Presents: Klimbatize / Two Car Train & Guest. Saturday, September 23rd at Red Room Ultra Bar, 398 Richards Street, Vancouver, BC. Their sound can be described as being a combination of 90s rock, grunge, alternative mixed with influences from blues and funk. West Coast Hard Soul Experience. A blend of screaming hearts and heavy riff rhythms carried by classic tones and tenacious grooves.